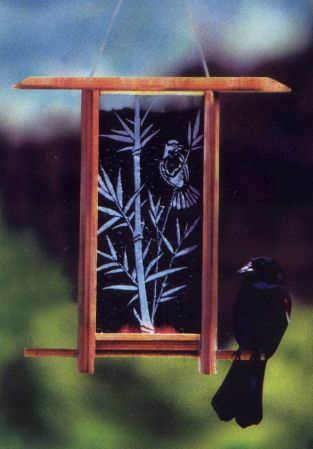 This medium-sized Teahouse birdfeeder featues a finch in a bamboo grove. These birdfeeders offer a touch of eastern elegance. These birdfeeders have two feeding ports.